Hi, I was just about to buy '85 US spec 5 speed car locally, but am now really interested in '79 5 speed euro car posted on this forum. I tried to do a lot of research about differences between the 2 chassis but seems, as usually, opinions vary a lot. I am all clear about visual differences as well as J-tronic vs M-tronic, but would like to understand more about chassis and suspension. If data I found online are correct, the E12 based car would be 70kg heavier than '85 (1500kg vs 1430); really hard to believe with all the extra electrical seats etc...would this be correct? I found various comments about "superior" suspension in later chassis; would this be correct? As motor itself, I know the M90 is sought-after, but I already got a really nice fully rebuilt M102 turbo motor from 745i that I would like to use, so M90 would not really be an advantage for me. At the same time, since my M102 is also J-tronic, would it make the swap much easier? E24 used a carburettor fuelled engine initially and soon moved to engines fuelled by Bosch L-Jetronic systems. [The L stands for 'Luft' because of the distinctive airflow meter in L-jet systems]. This is an electronic fuel injection system with analogue injector control. The ignition advance is either 'conventional' (i.e. controlled with a distributor containing vacuum and centrifugal advance) or controlled with a separate computer that superimposes additional ignition mapping in addition to that given by the distributor. BMWs started to be fitted with (digital rather than analogue) Bosch Motronic systems in 1979. These systems control both spark and fuel from the same ECU. The first Motronic-fuelled E24 was the 635CSi; this was initially L-jet fuelled but changed to Motronic in mid 1980. By 1982 all E24 models (apart from 628CSi) used Motronic. There are numerous different versions of both L-Jet and Motronic systems used on E24. Pre-5/82 cars have completely different suspension, differential, engine mountings, steering, front suspension, sump design, wiring harness, brakes, speedometer drive. Best to think of it as an entirely different car that happens to look the same as the later versions. There are numerous detailed differences in the L-jet systems that are used too depending on model and build date. The M102 engine has L-jetronic fuelling. I don't know whether the sump is the right shape to fit in an E24 without modification, or whether the block has the engine mounts in the right place on it. The later M106 engine uses Motronic instead. The good news is that all E24 have a separate engine harness that is (fairly) simply interfaced to the rest of the car. If fitting a different generation of engine to an E24 there are considerable wiring hassles but of they are of similar age then these are reduced somewhat. In a pre 5/82 car you will need a gearbox with a mechanical speedo output built into it, or something to generate/convert an electronic signal to a drive a mechanical speedometer. Post 5/82 cars have a considerably improved rear suspension design. This can (with some work) be fitted into an earlier chassis and it is probably worthwhile if you are going for a power upgrade. Post 5/82 cars also have a completely different front suspension as well. The earlier (and simpler) front suspension is Ok but it (subtly) alters the range of choices for front wheels that can be fitted without rubbing in the wheelarches. I don't recommend that you install a 250bhp engine into a pre 5/82 chassis without doing something about the diff mount; this (both the mount itself and the crossmember it is attached to) very commonly breaks up with a 220bhp engine installed. This part of the car underwent several changes and even later versions are not always strong enough unless they are modified. As knowledgeable as Brucey is, I have to beg to differ on Motronic introduction. The first cars to see Motronic were on the Euro M90(635) motors of May of 1981 manufacture. This was a one year only production as it was Motronic basic which in 5/82 manufacture than became Motronic 1.1. I went through this while doing the restoration of my 81 Euro 635 which started 10 years ago and was told by many my car had been "Frankensteined" and that no M90 (635)motor existed from the factory with Motronic prior to 5/82. So after much research, what I found out was pretty much a definite . The 635s did not come into the US until 8/84 and the 633s, at least until that point, according to realoem, still ran Ljet. I was also told based on the physical outside configuration of the water passages on my block it absolutely could not be an M90 motor. For 100% sure. When the motor was opened up for rebuild, it was 100% virgin and 100% for sure an M90. no european 633CSi were made after 1981. 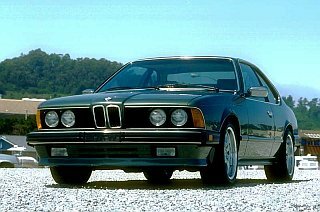 The model continued in the US market in revised form until the (somewhat emasculated) US version of the 635CSi was introduced in 1984. However motronic-only parts such as the inlet manifold are shown as fitted to US model 633CSi 9/81 onwards e.g. So I don't see what the problem is in what I said previously....? 'model years' are pretty meaningless for BMWs. Build dates are the thing. Your 'one year only' 635CSi spec was built from 9/80 until 5/82. No 633CSi build past 9/81 used L-jet. Check the build dates I have quoted if you like, links above. I rebuilt my series one e12 based car as close to stock OE as I could, in particular every chassis component was renewed or rebuilt with new parts . I found everything I needed either new or from used part suppliers ( and Ron ). There are significant differencies between the early and later models as has been stated but with due diligence and care the correct parts can be identified and sourced. Use Real OEM as a starting point http://www.realoem.com/bmw/select.do?lang=en but seek out any parts manual wherever you can too. The internet is a blessing though as parts for my car were literally sourced from around the world so cast your net as wide as you can. My advice is never take any sale item at face value , check ,double check and then confirm before purchasing .Sellers are too frequently unaware of the differencies. Asking on here also helped me considerably. I believe that you will find there is a substantial group of forum members who are very passionate about their E12 base cars (I know that I am one). It really comes down to personal taste. I enjoy driving and working on these cars because of their precise engineering from a simpler time. For me, the E12 base car better fits that image than the E28 base car. I too am a little curious about the weight differential published on the internet. It would be interesting to compare the two cars with similar equipment on a truck scale. Perhaps this could be accomplished by stopping by a feed store during the next Sharkfest? I have not found it difficult to find parts for these cars; however, as mentioned above you need to be knowledgeable as a buyer about the difference between the cars. Welcome to the fun! I do have one question regards the choice of shocks for the E12 based cars... I've read on here that Bilstein don't make suspension for them any more? Now, I might sound daft here, but can't I just use B6's for the E12 or doesn't it work like that? Also, Demon Tweeks are selling B6's that they state will fit a 1981 E24, so any help here would be appreciated before I part with another £600! The shocks on it at the moment are OE Boge units, peach in colour. Leave them on...? "The explanation you are about to give, needs to be.... PHENOMENALLY good"! D6s work. They are a heavy duty shock versus D8s which are a sport shock. Same valving just a shorter stroke on a sport shock so that it works better in conjunction with lowering springs. Oh I see, so the B6's are still made, it's just the sport stuff that's no longer manufactured? I don't know if they are manufactured or not. Probably are, just in batches when there is an apparent large desire for them. They are around new just very scarce to find. Sometimes you can find a low mileage used set. I found a set with 10K miles on them I will eventually put in my car. So they are around.